Meetings are a lot easier than they used to be. There weren’t a ton of options, most of them were expensive, and video quality was always really trashy. However, video calls are as easy as pressing a button these days. There are a ton of video calling apps. However, video conferencing requires a little extra from consumer level video chats. You need apps that support a bunch of people with some other tools as well. It needs to be stable and reliable for business meetings. There are a few really good options in this space. Here are the best video conferencing apps for Android! Here are more communication app lists! Cisco Webex Meetings is among the bigger options for video conferencing. It’s quite popular with business users and the app has some decent features. That includes joining a meeting with a single tap, customizable video layouts, and you can schedule meetings directly from the app. The video quality was decent and stable during our testing. The app itself is a little clunky. Most complaints include the occasional login issue, minor audio issues, and the app’s clunky UI. However, it should work just fine for most use cases. Pricing varies. You may need to contact Cisco for more accurate pricing. GoToMeeting is another popular and newer option in the video conferencing space. This one supports 15 participants in the lowest subscription tier and 25 in the higher tiers. The app supports audio calls as well as video calls. Some of the other features include a Material Design UI, calendar syncing, a text chat in every meeting, presentation features, and more. The video and audio quality are above average with this one. However, its 25 participant maximum is a little on the low side. This is great for small businesses or small teams within a larger business. There are other options with higher ceilings. 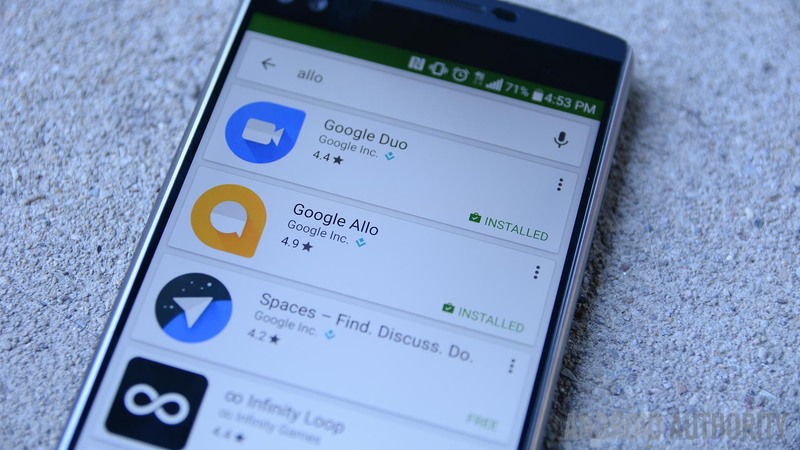 Google gave up on Hangouts as a consumer product. However, it’s still thriving as business software. Hangouts Meet is a free service within Google’s G Suite software. It supports up to 50 participants with above average video and audio quality. It also syncs with Google Calendar and comes with some additional video conferencing features. This is the obvious option for businesses, schools, and environments that already use G Suite. It might even be good enough to consider G Suite for your business. However, Hangouts Meet and G Suite requires locking yourself into Google’s ecosystem whereas most of the other apps on this list are standalone services. It’s just something to consider. Skype is a decent solution for small teams and small businesses. It supports video calls with up to 25 participants. It’s also completely free as long as everyone has Skype. You can ring people in without Skype, but that does cost a little bit of money. Skype is having a bit of an identity crisis. It wants to be hip and relevant, but it also wants to be decent software for stuff like this. It manages to do both, but it might be a little too colorful for professional types. Still, 25 participants on a solid video connection for free is hard to argue with. This is a great budget solution for smaller teams. Zoom Cloud Meetings is another very powerful option in this space. It supports up to 100 concurrent participants in a single meeting. That’s an impressive number. Additionally, it comes with audio-only, video, and text chatting. The free version is limited, but functional. The subscription prices are surprisingly reasonable for how many participants you can get. Some other features include phone call support, webinar and presentation features, and more. The UI is a bit clunky, but the video quality and stability are quite good. This is an excellent video conferencing app. If we missed any great video conferencing apps, tell us about them in the comments! You can also click here to check out our latest Android app and game lists!